Matt Chinian Painting Blog: Rouse Rd. Cambridge, NY. 39 F sunny no wind. A beautiful day, lighter clothing, high contrast. 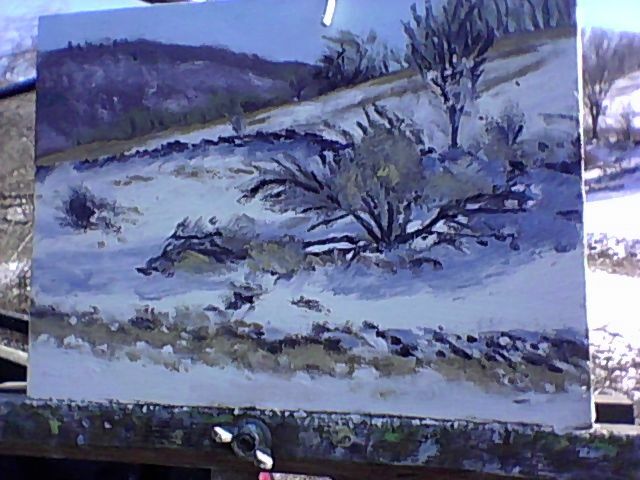 I'm looking south east, the mid afternoon sun is giving me deep shadows over the hill, I had to turn my panel to keep the sun from shining on it from the west. 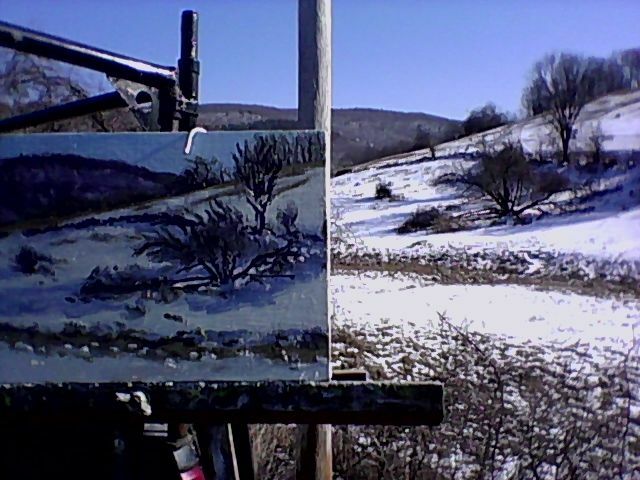 I love the back lit hill, but the glare off the snow can be blinding, seeing and mixing colors is a challenge. 2 nd time in this location, (august '12) but looking in different direction. A true farm road, very little traffic, plenty of room, not a house in site. I used my cell phone to take these pics, had a rough time getting them from the phone to this page, right side up! I never know what I'm going to bring back, the colors can be elusive. I'll often take my eyes off the subject, to keep it real, and of course the camera phone is weird. Battenkill River @ Center Falls, Greenwich, NY. Juniper Swamp Rd. 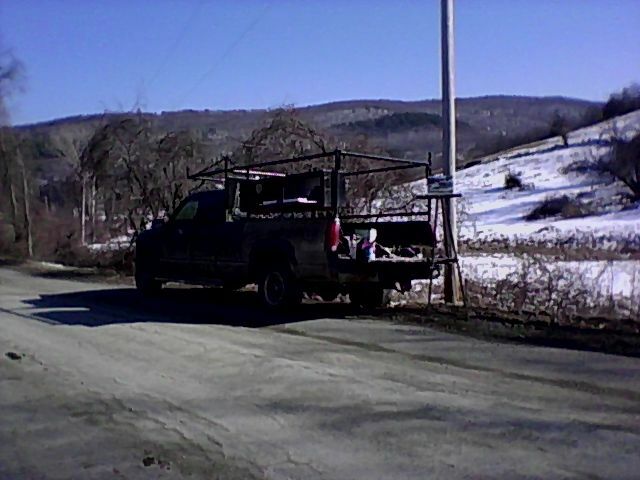 Shushan, NY.